Outrigger v. Davit system: Who Reigns Supreme? There are many ways to access the exterior of a building. You can use an extension ladder, high reach extension poles, or a boom lift (cherry picker), but these are only used for structures that are under four stories. When working with buildings taller than four stories you will have to use something that is more appropriate. 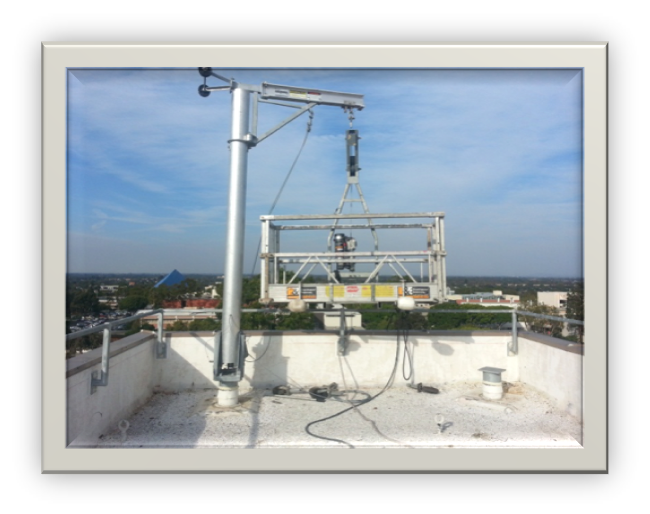 As a building owner, you have several options; two common options are an Outrigger system and a Davit system. There are pros and cons for either system. A significant factor will be the city and/or state regulatory codes and standards because they will impact the decision. We compare the two systems here to explain their features and settle the long-running debate (we didn't just make it up for this article). © 2018 OLYMPIQUE Facade Access Consulting. All Rights Reserved.